We know peptides! 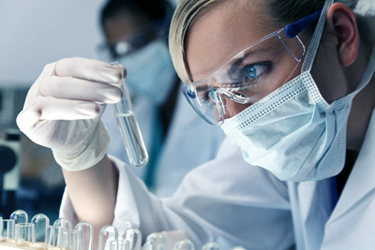 We have over 40 years of experience synthesizing diverse and difficult peptides, including insoluble trimers to peptides with multiple disulfide bridges and linked peptide chains. Phosphorylation, sulfonation, octanoylation, and unusual amino acid substitutions are all possible. With over 40 years of experience in peptide chemistry, who better to custom design your peptide research needs? We here at Phoenix Pharmaceuticals have synthesized everything from small simple peptides to long cyclic peptides with multiple disulfide bridges.